Villa Turquoise is a privately owned luxury 4 bedroom property set in a quiet corner of Kalamar Bay. This beautiful villa benefits from breath taking uninterrupted views across the sparkling waters of the bay to Snake and Mouse island. It’s convenient position makes it the perfect location for a relaxing holiday. A 15 minute downhill walk brings you into the enchanting and historic harbour town of Kalkan. The quaint town centre is a treasure trove of narrow streets, whitewashed Ottoman Greek houses and cobbled streets. Kalkan has an abundance of charming shops, sophisticated restaurants, stylish bars and some of the nicest locals you could wish to meet. Villa Turquoise is equipped to the highest standard and designed to make the best use of the fabulous view, bringing the outside in and creating a light, airy and spacious open plan living area. Internally, the ground floor comprises of an enormous open plan lounge/dining/kitchen area, all with panoramic views of the turquoise coast through large folding glass doors to the terrace and pool. The four spacious and well appointed bedrooms all have balconies with stunning sea views and ensuite shower rooms. The villa is fully air conditioned and has free wi-fi available throughout for our guests. 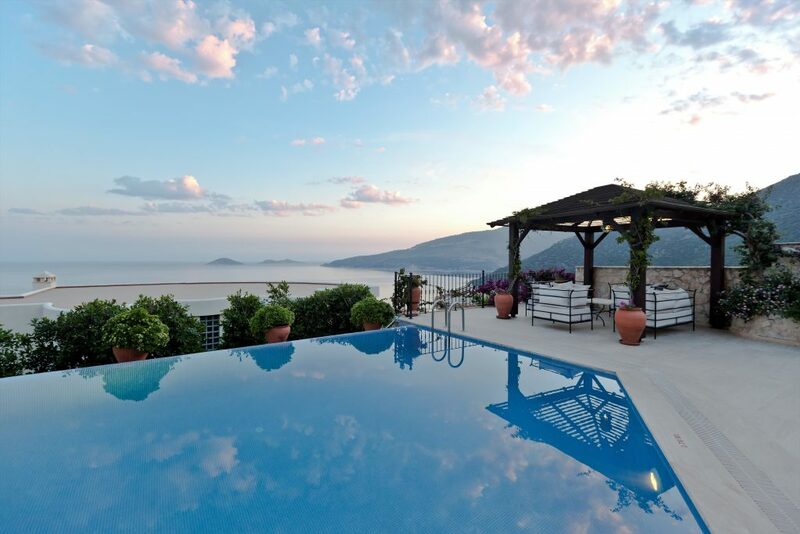 We fell in love with Kalkan over 15 years ago and bought Villa Turquoise in 2006. With its laid back fishing village atmosphere and charm, Kalkan draws us and our guests back time and time again. 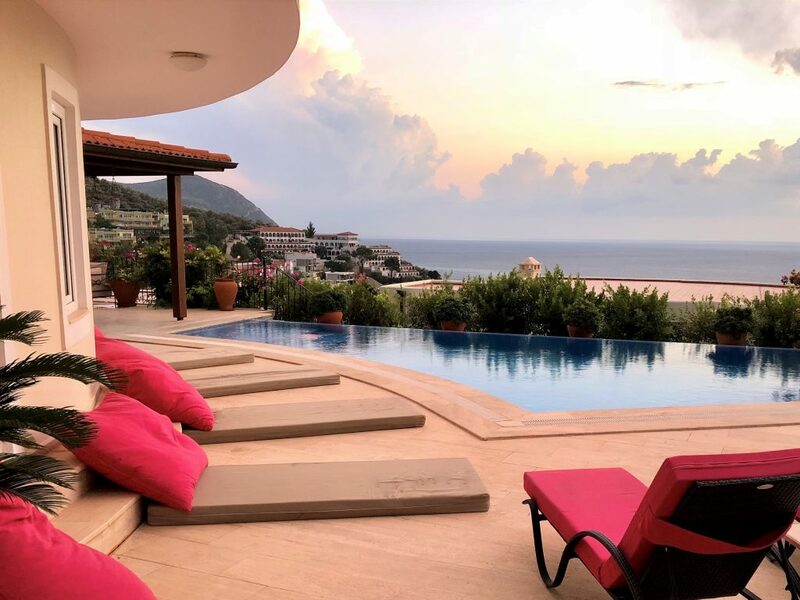 Please do not hesitate to get in contact if you have any questions regarding Villa Turquoise or Kalkan and the surrounding areas. We will be only too pleased to help you to plan your holiday. © 2019 Villa Turquoise. All rights reserved.